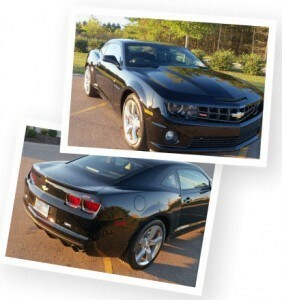 A 2010 Camaro SS is the prize; the donor’s faith is the motivator. David Wright is a successful business executive who enjoys cars. So why is he giving away his $40,000 2010 Camaro SS? Because he’s more driven than ever to give God glory and to rescue orphaned children in Cambodia and Thailand. The car is being given away in the form of a raffle. One hundred percent of the proceeds will go to Asia’s Hope, a multidenominational, grassroots organization founded in 2001 dedicated to rescuing orphaned children at high risk of sexual and economic exploitation in Southeast Asia. Asia’s Hope is a cooperating organization in the Fellowship of Grace Brethren Churches. Asia’s Hope operates eight orphanages in Thailand and ten in Cambodia. Each child living at an Asia’s Hope orphan home receives long term care and all the benefits of a loving family: shelter, acceptance, medical care, an education, life skills training and most importantly, the transforming power of hope. The raffle will run until February 13, 2011, with single raffle tickets available for $20; 3 for $50; or 7 for $100. The paths that led Wright, president of Goshen, Ind.-based Starcraft Bus, to his idea to give away the car are traceable to his childhood. Three of Wright’s six siblings were adopted from Korea. Today, he and his wife are raising two daughters and four sons, including an adopted Russian boy. And then there was the book, Radical, which he read last summer. In it, megachurch pastor David Platt examines how modern-day American culture, built on self-reliance, is having a negative impact on the gospel message, which emphasizes reliance on Christ. Wright’s decision to give away a prized possession confused some colleagues and friends who wondered if he had “gone off the deep end” and was motivated by some sense of guilt for achieving achieved success as a business executive. Wow, what a great idea! I pray that David's sacrificial giving will "come back on his head" in the form of the richest joy. It is more blessed to give than to receive. Way to go, David! Great lesson in obedience. Love you all.